Welcome to the carbon age. A head start through technology. 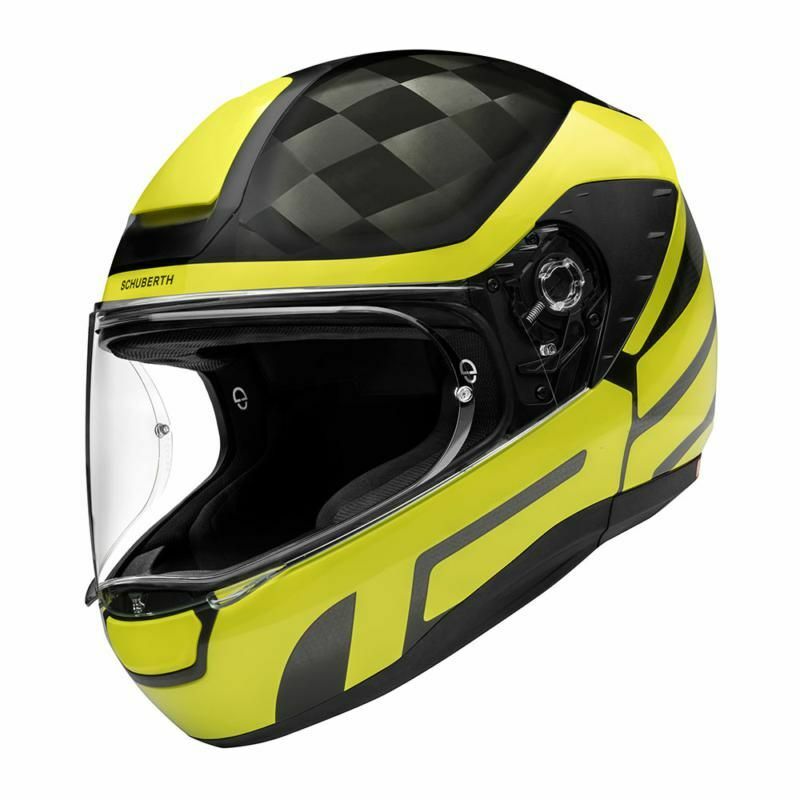 The SCHUBERTH R2 CARBON is the first carbon helmet with an integrated communication system. Fully protected due to a 100% carbon outer shell. Fully interconnected due to pre-installed, invisible speaker, microphone and aerial. The new SCHUBERTH R2 Carbon, the first of its kind. 100% Carbon Shell Made in Germany - for naked bike, roadster or sports touring bike. Speaker, microphone and aerial are pre-installed invisibly. The unique manufacturing methods used for helmet shells at SCHUBERTH keep the weight low, whilst retaining optimum stability. Direct Fibre Processing (DFP) is an innovation developed by SCHUBERTH. It involves an endless glass fibre being cut into pieces by a robot and blown into a mould. 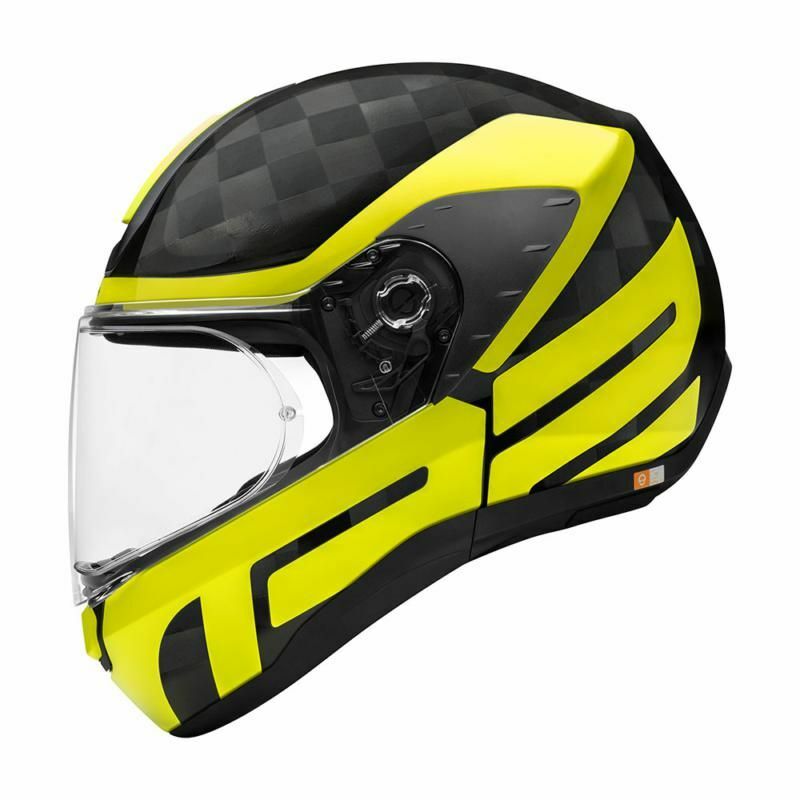 A precisely defined quantity of resin is added to the preform and it is then compressed at high pressure in a heated mould to create an exceptionally high-strength helmet shell. The multi-part construction of the inner lining allows for outstanding force absorption, thereby enhancing safety. A PRECISE FIT. A SECURE FIT. The motorcycle helmet complies with test standard ECE R 22.05, which means it can be used throughout Europe. The R2 is available in sizes XS to XXL. This is suitable for a head circumference range from 53 to 63 centimetres. The visor is made of scratch-resistant polycarbonate - manufactured using the injection moulding method. The clear visor is made to optical Class 1 standard. Replacement is straightforward and no tools are needed. Anti-fog ready: Guaranteed no mist due to the double-screen principle. The smallest version of the SCHUBERTH R2 CARBON (XS) weighs in at just 1300g. It comes in 2 different helmet sizes made from a modern carbon glass fibre matrix, manufactured in Magdeburg. Available in five different designs and sizes XS to XXL. The ShinyTex® inner lining is designed to ensure a secure and comfortable fit. The fabrics are fast-drying, washable and antibacterial. The seamless head pad guarantees outstanding wearing comfort. Good air circulation through multi-channel ventilation provides additional cooling for the wearer. Of course, the inner lining is Öko-Tex 100 certified, removable and washable. The emergency quick-release cheek pads can be removed in one swift movement if necessary, which will make it easy to take the helmet off. Reflective surfaces on the helmet make the rider even more visible in the dark. The secure double-D fastener readjusts the helmet fit afresh every time it is worn. Fresh air intakes in the forehead and chin areas ensure that the air circulation within the helmet remains comfortable at all times. The multi-channel ventilation of the R2 makes for a cool head during every ride. Communicate, make phone calls, navigate, listen to music - communication is really easy now, even on a motorbike. Extremely easy installation and invisible technology: the communication unit is slotted into the edge of the helmet and is completely hidden. Microphone and speakers are already pre-installed as standard in the C4, R2 and R2 CARBON.